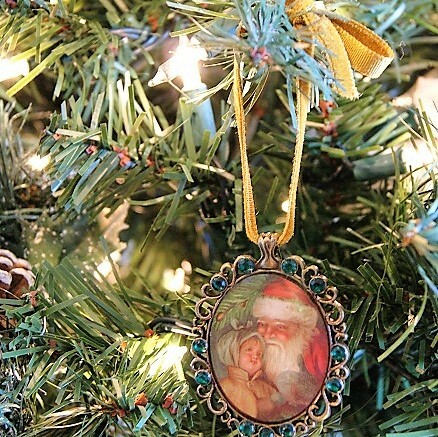 This is seriously the easiest DIY Christmas ornament you could possibly make. You don't have to know how to sew, knit, or even use a hot glue gun to make this easy DIY Christmas ornament. All you need to make this ornament is velvet ribbon and a large pendant. 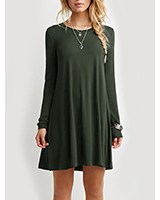 I found the one pictured bove at JoAnn Crafts. 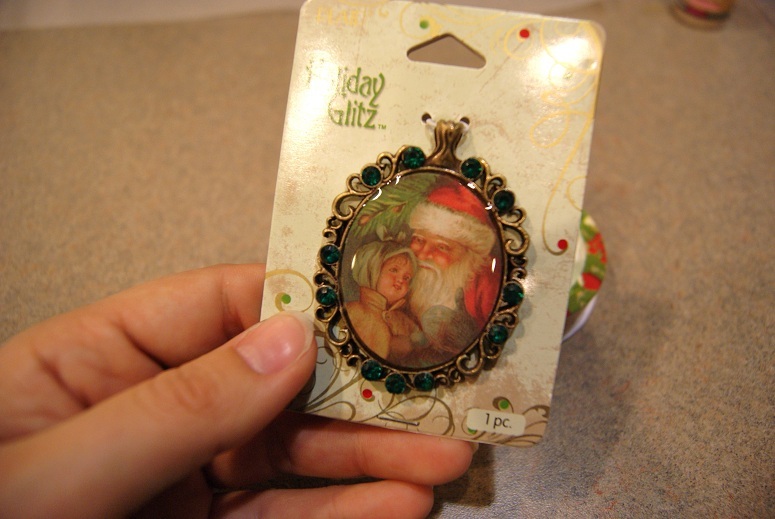 I was just looking for any kind of beautiful pendant I could use as an ornament when I stumbled upon the Christmas-themed pendant. If you want to add some glitz and glamour to your tree (without spendind an arm and a leg on premade ornaments), you can find a variety of metallic and/or jeweled large pendants in the jewelry section of a craft store, most for under $5.00 and some as low as $2 a piece. I found the golden velvet ribbon on sale for $1. 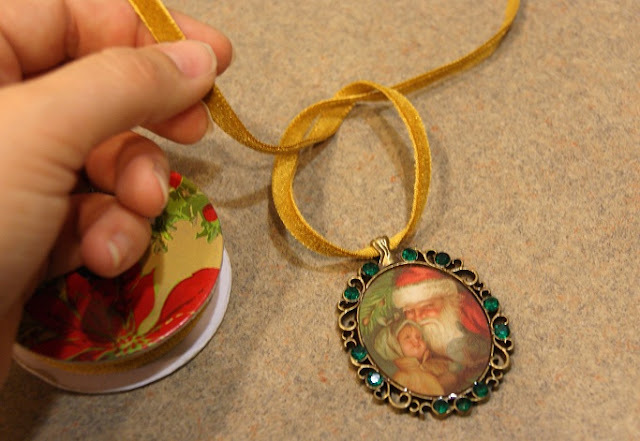 You can use any style ribbon or string you want to make this DIY Christmas ornament, just be sure it's thin enough to fit through the link on the pendant. This thin velvet ribbon worked perfectly and comes in so many pretty colors. 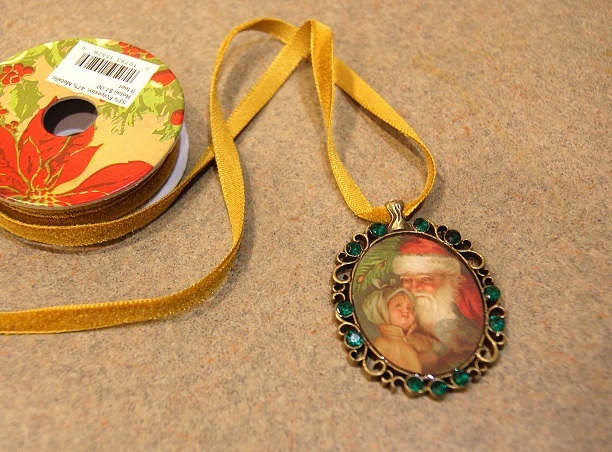 Cut your ribbon at least 6 inches long and string one end through the opening on the pendant. Pull it through halfway then make a single knot (leaving enough space for the loop to fit onto a branch) then tie the remainder of the ribbon into a bow at the top of the loop. There you have it! 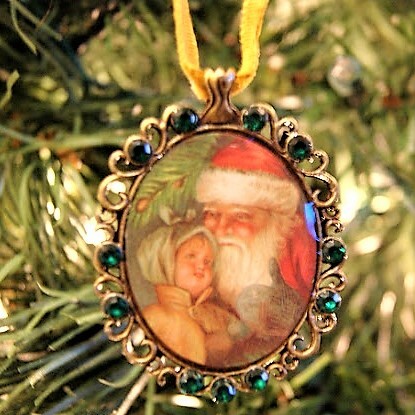 Perfect for a pretty, vintage-themed Christmas tree. 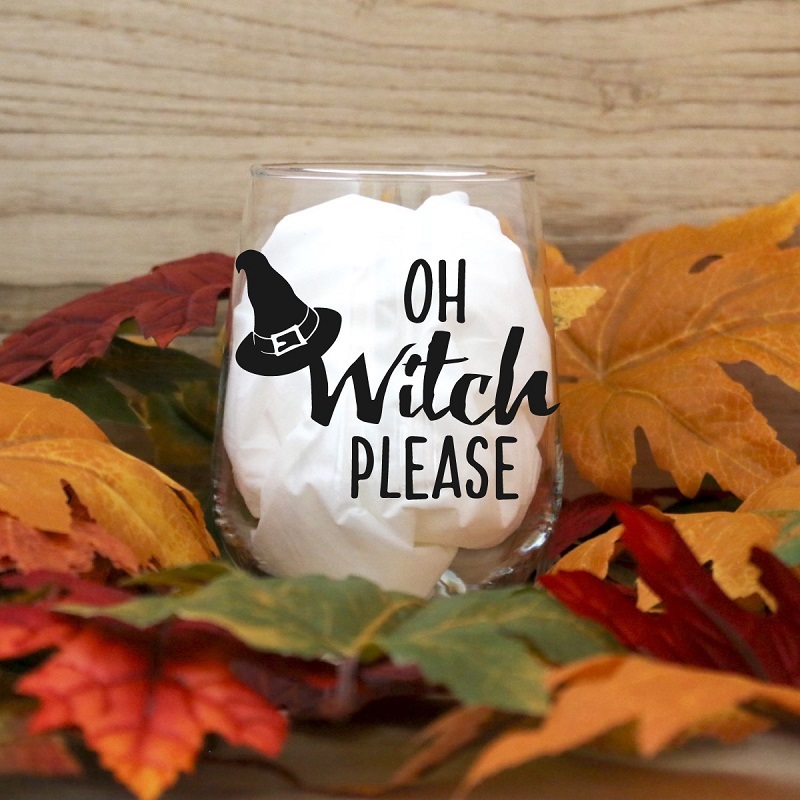 I'd love to make several with some beautiful cameo pendants, skeleton keys, and some antique-looking pocket watches too! Very simple. I should have thought of this.